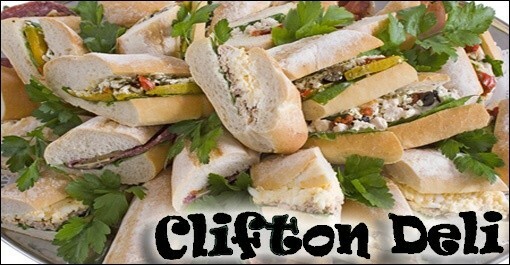 With today’s Dealyo, for $7.50, you’ll get $15 toward deli fare from Clifton Deli in Clifton Heights, PA. Enjoy your choice of snadwiches, steaks, grinders and more! Choose from items such as the Clifton Cajun Turkey Sandwich, a delicious London Broil sandwich or any of your other favorite combos made specially for you on your choice of white, wheat, Kaiser roll, marble rye or rye, black Russian bread, or in a pita or wrap. Yum…all of this deli talk is making me hungry! • Today’s Dealyo is $15 to Clifton Deli. • Cannot be combined with any other offers. • Limit one per customer, may purchase additional as a gift. • One voucher per transaction. • Entire value must be used in first visit. Any remaining balance will be forfeited. • Cannot be redeemed for cash. • Not valid toward the purchase of gift cards. • Tax and gratuity not included, please tip on good service for full amount. • Purchased Dealyo voucher will be available for download on Thursday, August 25. • Voucher expires December 4, 2011.